Most people have a place that is important to them–maybe a hometown, or the place they attended college, or a favorite vacation spot, etc. If you go to Ebay and do a search on “vintage postcards”, plus the name of the location you have in mind, you might be surprised to see how large (and cheap!) the selection is. They have a vintage look, perfect for framing. For more WFMW Greatest Hits, visit We Are That Family. I LOVE this idea! I might try to put something together for my husband…we’re from the same small hometown, and I know that there are postcards on ebay (I’ve seen them before, I just never had a plan for what to do with them!). Thanks! I left a big pot of hard-boiled eggs out on the counter last night too. MY WORD, that wasn’t even the first time I did that! I just shut my brain off after the kids go to bed and it’s just mmuusshh scchmmmuush from there. Of all the things I’ve lost…I miss my mind the most. This would be a fantastic idea for a (new) teenage son who is increasingly difficult to buy presents for. I am going to do this of the great city landmarks from where he was born! Thank you, Shannon! Hey, that is very cool – highlighting vacation postcards that way would be fun! You are brilliant. Love this simple and unique nod to a special place. Thanks for sharing. This is a great idea. Some might say “a virtuous idea” from a woman whose value is far above rubies, who is clothed in dignity and strength, who stretches her hands out to the poor and makes her arms strong (she does aeorbics and light weight training) and dutifully drives her son to soccer and sits in the freezing cold. I am still giggling thinking about the virtuous woman being “a soccer mom”! If she lived today, she surely would have been! Blessings as you train up your flock in the way they should go! I remember when you originally posted this one! I’d just returned from a trip to Santa Fe where I’d purchased postcards of a collection of photos an artist had taken of crosses around New Mexico. And I totally robbed your idea did this in my study. It’s just as good the second time around! What a great idea! I am going to have to copy this one. I’ll give you credit of course! I love this idea!! And like many of us, I regularly leave dinner sitting on the stove overnight. It’s worst when it was something great that I forgot to put away. I like the commentor “my brain shuts down”. Amen to that. I’m beginning to wonder if mine is ever on in the first place. What an awesome idea! My mind is running a thousand different directions on this one! Thanks! When you posted this idea the first time, I loved it so much that I immediately searched and purchased a postcard from ebay that is now framed in my family room. The postcard is of the post office in the very, very small town my parents and grandparents were all from–my grandfather worked at that post office for more than 25 years. It is so special to me! Thanks so much for the idea! 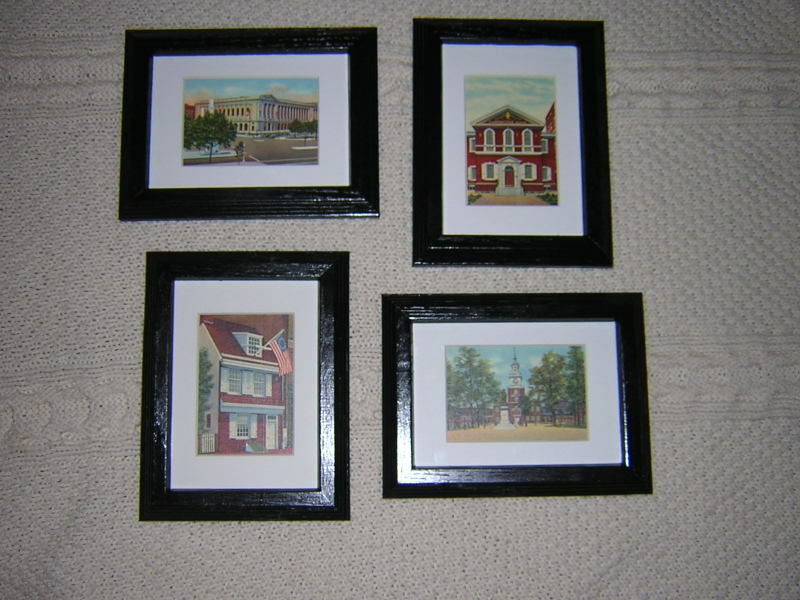 I have six framed postcards in our dining room! I love that idea. Would be more fun if we lived in an historic town. Thanks for the idea! I loved this idea when you first mentioned it. When my brother got married, I gave him and his wife vintage postcards from the plantation where they got engaged in Charleston, SC – and I just happened to find one of the actual bridge where he proposed. I got them matted and framed and it turned out really nicely. So thanks for the reminder!! I like that idea! My hometown probably has some great stuff – I’ll have to check it out. I LOOOOOOOOOOVED this idea when you first posted it and I LOOOOOOOOOOVE it now. Thanks for reposting. We’re about to do some redecorating and I have just the postcards to frame! And, I love the spacing of the cards in your entryway. Looks great! Thanks for reposting this tip. When you first posted this idea I searched ebay and bought a postcard of my parent’s high school (very old red brick building in the small town they grew up in), I framed it with a cool frame that I bought with a 40% off coupon at Michael’s, and gave it to them for Christmas. It was one of their favorite gifts ever, I think. Wonderful idea. Do you miss hosting WFMW? 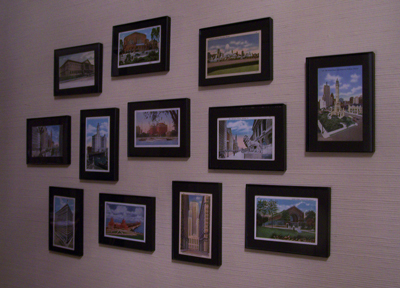 I used postcards of our (husband and mine) childhood churches and of our college’s landmark building (where we first met). I also started a collection of the retro state postcards for each state we have lived (4 in our first 6 years of marriage!). 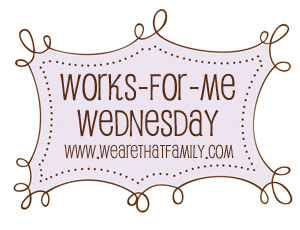 You should submit this link in the Mr. Linky for “Make & Tell Monday”! Feel free to jump in every week! I love it! I LOVE this idea!! I have some framed photos of sites in Charleston, SC, and the Outer Banks, but vintage postcards would be such a great idea. Yours look fabulous! (I live in Philly too, so now I’m looking at Philly postcards on eBay!) Thanks for the tip! How pretty!! What a great idea. Nice idea. Wish you still lived in Chicago. We are 2 hours from the windy city. Love to go there on field trips, good restaurants and all the bling. What a really cool idea. Can be done with greeting cards too. I love this idea…so thoughtful! I have taken wallpaper & borders and doing this. My Mother taught me to visit the tiny galleries in the cities we visited. She also made a point to provide art for my sister and I when we couldn’t afford to travel. My precious Daughter-in-Law has added to the collection. Each contribution is a treasure!